Testimony of a star witness in a New York courtroom has revealed new allegations of Qatari wrongdoing in its successful bid for the 2022 World Cup hosting rights. The allegations by Alejandro Burzaco, the former head of Argentine sports marketing company Torneos y Competencias, are likely to revive partially politically-motivated calls for Qatar to be stripped of its rights. Lurking in the background of the Mr. Burzaco’s allegations is, however, the little discussed issue of the nexus of sports and politics that underlies and enables massive financial and performance corruption in sports. Indicted on corruption-related charges, Mr. Burzaco, who has agreed to a plea bargain, pleaded guilty and is expected to be sentenced next May. Mr. Burzaco is one of more than 40 officials, business executives and entities that have been indicted in the United States since Swiss police accompanied by FBI agents in 2015 raided a hotel in Zurich where senior FIFA members were gathered for a congress of the world soccer body. Mr. Burzaco asserted that the first three defendants to stand trial in the warren of FIFA-related cases – former South American soccer confederation CONMEBOL president Juan Angel Napout and past heads of the Brazilian and Peruvian soccer federations, Juan Maria Marin and Manuel Burga – were among several senior Latin American soccer officials who had been paid tens of millions of dollars in bribes for their votes in favour of the Qatari World Cup. Qatar’s sports-related financial dealings are under scrutiny on several fronts. In a separate investigation, Swiss prosecutors last month opened criminal proceedings against Qatari national Nasser al-Khelaifi, the chief executive of beIN Media Group, the Qatari state-owned Al Jazeera television network’s sports franchise, and chairman of French soccer club Paris St-Germain. The proceedings involve Mr. Al-Khelaifi allegedly having bribed disgraced former FIFA secretary general Jerome Valcke to ensure that beIN was awarded the broadcasting rights for the 2026 and 2030 World Cups. Qatar as well as Mr. Al-Khelaifi have consistently denied any wrongdoing. A renewal of the debate about withdrawing the Gulf state’s hosting rights comes, however, as the United Arab Emirates and Saudi Arabia are campaigning to have it stripped of its rights as part of their almost six-month old diplomatic and economic boycott of Qatar. Qatar this week urged the UAE, Saudi Arabia, Bahrain and Qatar to allow their nationals to attend the World Cup despite the travel ban they imposed as part of their boycott. “We separate politics from sports,” said Hassan Al Thawadi, secretary general at Qatar’s Supreme Committee for Delivery & Legacy, ignoring the fact that Qatar’s sports strategy is a key part of its soft power policy. A top UAE security official, Lt. Gen. Dhahi Khalfan, suggested last month that the only way to resolve the Gulf crisis would be for Qatar to surrender of its World Cup hosting rights. “If the World Cup leaves Qatar, Qatar’s crisis will be over … because the crisis is created to get away from it,” Lt. Gen. Khalfan said. Leaked documents from an email account of Youssef al-Otaiba, the UAE ambassador to the United States, revealed a UAE plan to undermine Qatar’s currency by manipulating the value of bonds and derivatives. 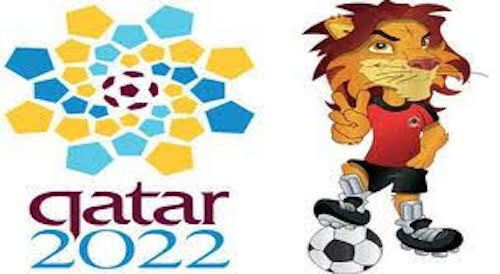 If successfully executed, the plan would have allowed Qatar’s distractors to argue that the Gulf state’s financial problems called into question its ability to organize the World Cup. The plan was the latest instalment in a covert UAE-Qatari media and soccer war since Qatar won its hosting rights in 2010. The intrinsically political nature of the debate about Qatar and the politics that drove alleged financial corruption of the Gulf state’s bid complicate any discussion of what to do if Qatari wrongdoing were legally proven. It distracts from the fact that Qatar, whose bid has been at the core of multiple scandals in global and regional soccer governance, happens to be in the hot seat at a time that often politically-driven, widespread corruption in past World Cups is becoming ever more evident. In other words, what Qatar stands accused of was common practice even if Qatar was willing to do it on a much larger scale. The issue of Qatar’s World Cup raises a host of questions that if addressed could contribute to a fundamentally cleaner governance of the sport. No issue is more fundamental than the question of the relationship between a sports and politics. It is a relationship that sports executives, politicians and government officials deny despite the fact that it is public and recognizable. The relationship has asserted itself repeatedly in recent months with decisions on referees made on political rather than professional grounds as well as FIFA’s refusal to apply its own rules in differences between Palestinians and Israelis under the mum of a separation of sports and politics. Yet, on the same day that he made his statement, Mr. Infantino waded into the Gulf crisis by removing a Qatari referee from a 2018 World Cup qualifier at the request of the UAE. FIFA, beyond declaring that the decision was taken “in view of the current geopolitical situation,” appeared to be saying by implication that a Qatari by definition of his nationality could not be an honest arbiter of a soccer match involving one of his country’s detractors. A demand last week by the Egyptian Football Federation (EFA) to disbar a Qatari from refereeing Egyptian and Saudi matches during next year’s World Cup in Russia puts FIFA in a position in which it will have to decide to either opt for professionalism over politics or also disbar game officials from Qatar’s distractors– Egypt, Saudi Arabia and Bahrain – who have likewise been appointed for the tournament from refereeing politically sensitive matches. FIFA’s tying itself up in knots in response to the Gulf crisis like the politics underlying corruption charges in New York cries out for putting the inextricable relationship between sports and politics on the table and developing ways to govern a relationship that is a fact of life. Legal proceedings in New York may force FIFA to clean up part of its act, they won’t resolve the underlying structural problem.